Anupong Chantorn, famous for his painting representing monks as crows, is currently exhibiting a similar drawing at the 2nd Bangkok Triennale International Print & Drawing Exhibition. Anupong's earlier painting won first prize at the 53rd National Exhibition and inspired a butoh dance performance, San-Dan-Ka. His new drawing, Hope In The Dark, has won the Triennale Prize, and is showing at Bangkok Art & Cultural Centre from 14th May until 14th June. It's great to see so many silent films included, though there's no film noir, no Neorealism, and (most surprisingly) nothing by Francis Ford Coppola. Twister, the only entry I take exception to, was included simply because it was the first film released on DVD in the UK. Note that Carrie is the 1976 Brian de Palma horror film, not the 1952 William Wyler romantic drama. 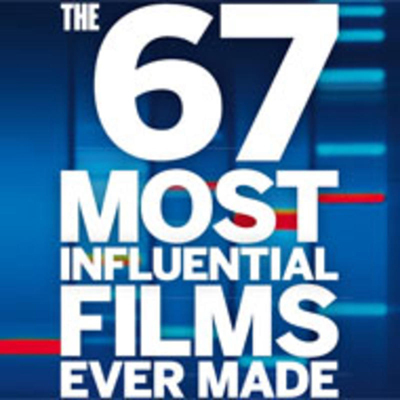 Total Film previously published lists of 100 films in 2005 and 2006. A French judge yesterday ordered that the current issue of Choc magazine must be withdrawn from sale. The magazine's cover features a photograph of kidnap victim Ilan Halimi taken by his kidnappers. 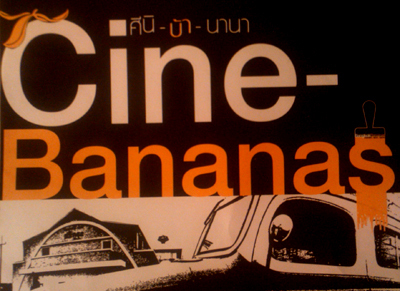 The Bangkok Bananas arts festival ended today (having started on 30th April). 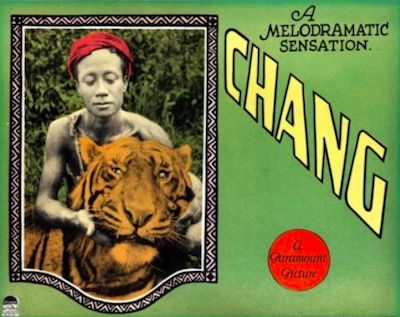 It featured Cine-Bananas, a series of outdoor film screenings including the silent documentary Chang (accompanied by a live orchestra), filmed in Thailand by the directors of King Kong (Merian C Cooper and Ernest B Schoedsack). The festival's finale this evening, Spooky Night, featured a collection of horror films, including Vampire, a short film by Apichatpong Weerasethakul commissioned for the Travelling series by Louis Vuitton. Vampire is a cryptozoological faux-documentary about a vampire bird, filmed in the same style as The Blair Witch Project. 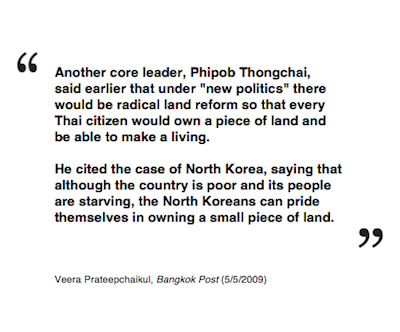 A PAD leader cites North Korea as a political model for Thailand. Previous quotes of the day: the ICT Minister openly admits to violating the Computer Crime Act, and a patronising Ministry of Culture official.